Hundreds of thousands of Americans have received phone calls from people purporting to be either debt collectors or police pursuing delinquent debt. The callers contact people at work and at home. Many calls come in the middle of the night. The victims are threatened with harassment or imprisonment. The scammers have collected at least $5 million from people who did not owe them money. These scams are persuasive because the callers usually have a great deal of personal information about the victims. They often know when a loan was made, the loan amount and other details. Because of the amount of information they have and in an effort to avoid trouble, many people pay up. Phantom debt is debt that is old, defaulted, paid or otherwise not owed by the debtor. While phantom debt can sometimes appear on credit reports as an error, the current case involves individuals deliberately trying to collect money that is no longer owed. The Federal Trade Commission has frozen the bank accounts of Kirit Patel, a front man who set up the California company behind the scam. 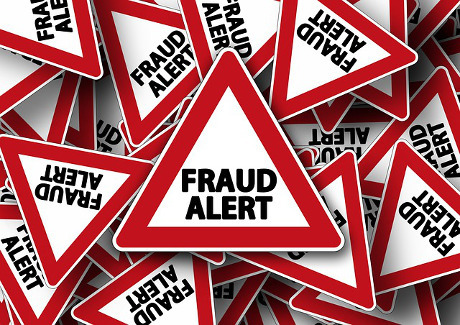 The FTC and the state of Illinois are suing six companies and three people who have used a number of business names in the scam, including Stark Recovery, Stark Law and Capital Harris Miller and Associates. While the calls originate in India, the scam is supported by the participation of people in the U.S. American corporations are set up to collect the information that is used when calling the alleged debtors. This is not the first case of widespread phantom debt fraud. In November 2015, the FTC reported on a company called Delaware Solutions or Clear Credit Solutions that allegedly purchased payday loan debts. The debts were not valid, but, the company proceeded to call and harass people to intimidate them into paying. What should you do if you are contacted about phantom debt? Ask for a validation notice. This is a document that confirms, in writing, how much you owe and what the debt is for. By law, it must be sent to you within five days of contacting you. Remember that it is illegal for a debt collector to threaten or harass you. Know that a debt collector cannot put you in jail. Know that you can tell a debt collector must, if you ask, only contact you in writing. If a debt collector does not validate a debt or threatens or harasses you, report them to the FTC and your state’s Attorney General’s office. Knowledge of your rights can help protect you and preserve your good credit. Do you need help improving your credit score and erasing phantom debt? Contact Key Credit Repair today.